Southern High School’s mission is to use a collaborative process focused on learning, ensuring that all students develop twenty-first-century skills so that they will be college- and career-ready. At the heart of Southern High School is our vision to develop and graduate college-and career-ready students. Southern is leading the way in the Academies of Louisville initiative as 1 of the 11 participating JCPS high schools opening as a wall-to-wall Academy school for the 2018-19 school year. We are student-focused, knowing that teaching only occurs if all students learn. Students can expect to be given the opportunity to become successful in whatever area they choose. They can expect their teachers to use a collaborative effort, while being firm, fair, and consistent, to ensure that all students learn. Southern has a community feel and is quickly becoming known for its innovation and concern for all students. Students and teachers alike are gaining recognition for their work on the state and national level. All freshmen will be assigned an advisory period where they will have an opportunity to meet with an advisor and a small group of classmates. Along with career exploration and development, this period teaches essential success skills, such as how to take initiative and responsibility, effective teamwork and communication, critical thinking, and problem solving. 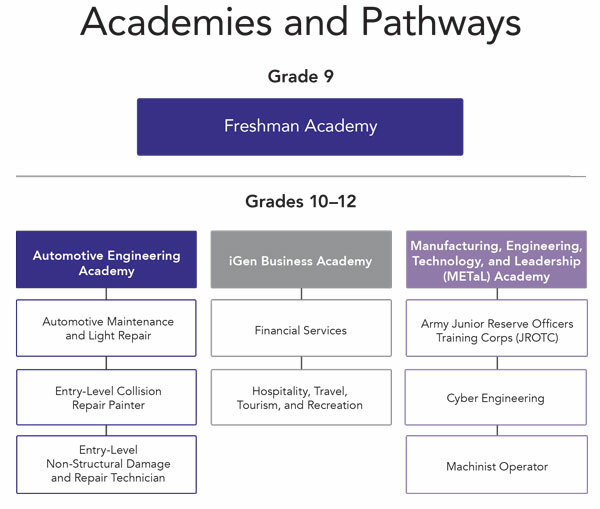 This experience will help you make an informed decision about which academy you will enroll in for your sophomore through senior years, and what personal, collegiate, and professional journey you would like to embark on after high school.